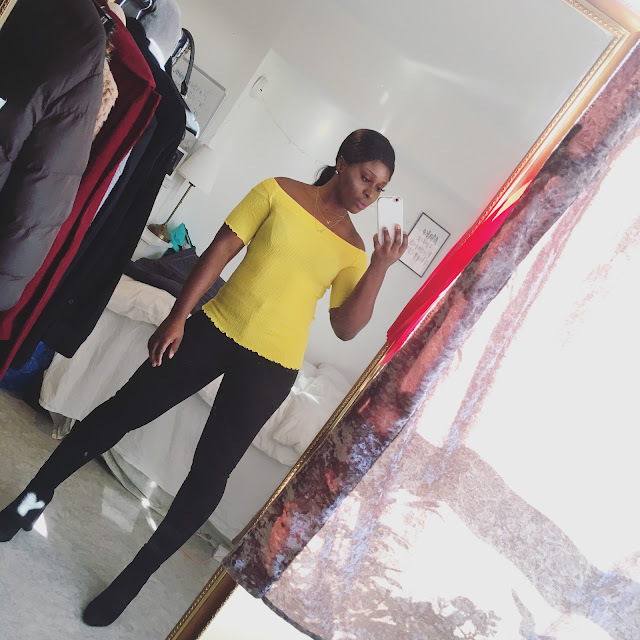 CHIOMA BANKS: GET READY WITH ME. Hey Guys! Thank Goodness the weekend is finally here, we all need that pause from both school studies and work! LOL! Today, I wanted to share with guys on my hair..I'm soo lovely it! It's a 7A Grade Virgin Brazilian(highest grade of brazilian hair texture) which costed Me roughly of about $300. It's three bundles of 26, 28 & 30inches. Yeah it's very long just as my taste of desire, and was fulfilled. Have gotten so much lovely compliments from People about my hair (of both the texture and styling)who've seen Me this week. The only shock they get on their faces is when I tell them I fixed my hair myself YEss!..Myself! haha It's been 4years now since I visited the saloon to fix my hair when I can perfectly do it in a couple of hours and save the cash for something better (like buying shoe) hehe!! Yeah, before the shoe talk interrupted LOL ... I fixed the extensions in a versatile way of 2 side parting ( left & right), that's why if you look through the pics, you'd see the hair parting change wyas/position hehe! Me being very creative with hair styles, this took Me 2hours to fix while sitting on the floor in my room with a standing mirrow to cross-check my work, and I was very impressed with my finally result, I can put it in high pony-tail without any trace of seeing the weaves, that people actually think it's my hair, they find it hard to believe it's not..haha I'd make a video of how I fix my hair, so that you can grab some tips. I need to study for few hours before heading to bed, I slept only 2hrs last night (couldn't sleep, due to coffee and energy drink I drank) LOL!! !